Last week’s episode ended with an introduction to two significant characters in The Flash realms: Jay Garrick & Zoom, leaving a lot of viewers either jumping for joy or scratching their heads confused. Garrick has come to Barry Allen’s world by force, due to the wormhole that swirled over Center City in last season’s finale. A Flash in his own world, Garrick warns Team Allen of the new Zoom’s end all plan: to be the only speedster, in all of the universes. Team Flash is a little apprehensive to trust Garrick right away, since the last person they openly trusted tried to murder all of them. Comic nerds were hopeful for Garrick’s appearance after noticing his helmet being spit out of the time portal Barry traveled through to defeat Reverse Flash at the end of season one. It was only a matter of time before the time hopping caught up with Allen. Out of the entire team, Barry is the most uneasy and it is completely understandable. Wells DID kill his mother, and manipulated him for an extended period by earning his trust and being something of a father figure (we all know the father of the year award goes to Joe West; sorry Henry!). Allen feels responsible for lives gone awry and refuses to make his old mistakes again. Once Garrick pleads his case, he’s given the old S.T.A.R. Labs treatment: locked in a metahuman proof box until further notice. The trust comes quickly when task force wannabe Patty Spivot finds herself in a compromising position. ”Flash of Two Worlds” (directed by Jesse Warn) is exactly what the title says it is. For us fans that know nothing outside of what TV has to offer, this is a fool proof introductory to the multi-universes of The Flash. For a more seasoned veteran, it’s a clever reminder of all the different routes this season (and hopefully those to come) have to offer. There is even a sly wink to the Flash of Two Worlds cover in the episode, something you’ll want to Wiki if you haven’t noticed yet. Away from the speedsters, our other team members gets some well-deserved attention. Cisco is on point with his punchlines per usual but is battling his own demons he doesn’t quite understand yet. Together with Professor Stein, he tries to further assess the breach, and they are hit with an interesting discovery. Cisco is a fan favorite and it’s going to be a ride to figure things out with him. We didn’t get a ton of Caitlin or Iris time, but Team SnowBarry & Team WestAllen will always be rooting for their favorite ‘ships. Outside of story line, I would amiss to not take the moment to praise the visual effects in this episode. 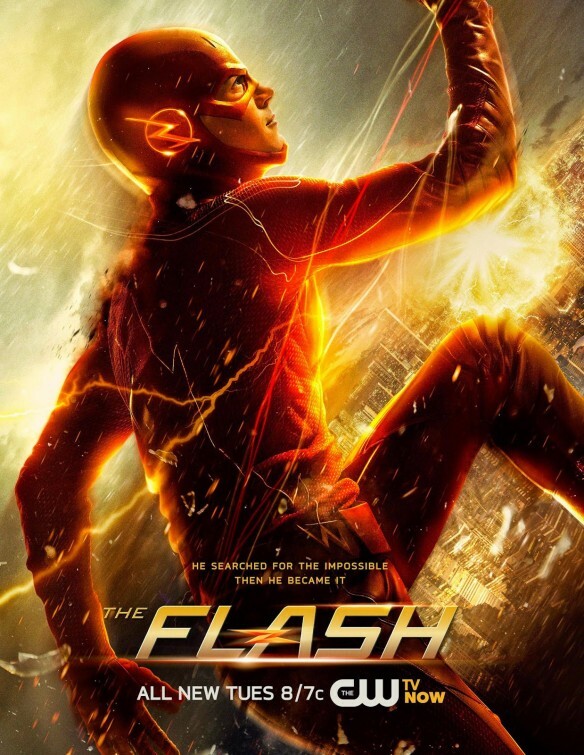 The Flash’s speed, metahuman powers and the all-around senses of the characters are perfectly displayed and are the seamless companion to the script. The episode ends with a bang that has us asking a lot of questions, but mainly: WTF?!? It’s going to be a curious journey to see how everything comes full circle. This season is off to a great start and bound to be positively stressful; we’re all on board for every minute of it.